Provided that you already have a company website, setting up an online store for your business would be a natural next step toward its growth. It probably goes without saying that a huge number of Canadian consumers shop online. In fact, just last month, Ebates.ca (via Newswire.ca) revealed the findings of a recent poll that found that two-thirds of Canadian parents planned on doing some of their back-to-school shopping online this year. But as a Canadian merchant, opening an online store will help to significantly grow your customer base to include shoppers from all over the world. 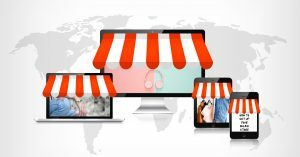 Naturally, an online store will not adhere to regular business hours (as it stays open 24/7) and it will not discriminate between borders (allowing your brand to become a worldwide entity). But, to set up your online store, you’ll need to go through a number of steps. Compose inviting product and service descriptions. You’ll need a crafty wordsmith to properly come up with words to tantalize your audience. Your products and services should be described in intriguing ways. Enticing your site’s visitors to make purchases directly from the site is the name of the game. Be sure to have each of your products and services adequately represented by the written word. Set up a professional photo shoot. Of course, no product description is complete without a vivid photograph of the item in question. Photos are immediately eye-catching and can do more to generate revenue than any text on your website can. Establish shipping and handling services. Who will package and ship your products to your customers? Will you send them tracking information? Now, at Canadian POS, we understand if all of this sounds overwhelming. That’s why we’re here to help you through the process of setting up your online store! We offer a secure e-commerce solution that enables you to easily and securely accept and process all credit cards from your website. For more information, please don’t hesitate to call us at 1-877-748-2884 or email us at info@cdnpos.com.